On Tuesday, the Federal Reserve released its fifth annual Survey of Household Economics and Decisionmaking, which gauges the economic well-being of U.S. households and identifies potential risks to their finances. Despite many Americans reporting that economic conditions have gotten better -- and seem to be looking up for the future -- the report suggests that nearly four in 10 adults can’t fund a $400 emergency expense without either borrowing from a friend or carrying a credit card balance. Based on answers to a series of questions, two in five adults faced what the Federal Reserve calls “a high likelihood of material hardship.” This refers to the inability to afford sufficient food, medical treatment, housing, or utilities. Other results out of the survey were quite promising for the economic future of the country. Among over 8,000 small businesses and 12,000 households that were covered in separate surveys in the last year by the Federal reserve and its 12 regional banks, the findings showed economic conditions are on the upswing, and only look to be getting better in the years to come. In 2017, 74 percent of U.S. adults said they were financially stable -- or at least making ends meet -- which was four percent higher than 2016 and 10 percent higher than the first year of the survey in 2013. Lower income households also saw improvement, as the percentage of households reporting financial struggles fell from nine percent last year to seven percent this year. Consumer spending also continues to increase, as it accounts for the bulk of U.S. gross domestic product. Additionally, the economy’s growth in recent years has come from a steady increase in household income. “The mass of the consumer sector is in pretty good shape and that should continue,” said Nathan Sheets, chief economist at PGIM Fixed Income. When looking at the results from the Federal Reserve survey in years past, it shows the importance of U.S. adults making a concerted effort to focus on their savings. In 2017, the survey reported that 30 percent of Americans were not confident they could come up with $2,000 on short notice. Additionally, a growing number of consumers were not optimistic about their chances of getting credit on short notice. Survey results showed that accounts had closed at the highest rate since the Federal Reserve began tracking that statistic. Consumers were also rather discouraged when it came to even applying for credit, as that number rose to 7.1 percent -- the highest level since June 2014. Consumers who successfully applied for credit in that year fell to 31.5 percent -- the lowest since February 2015. 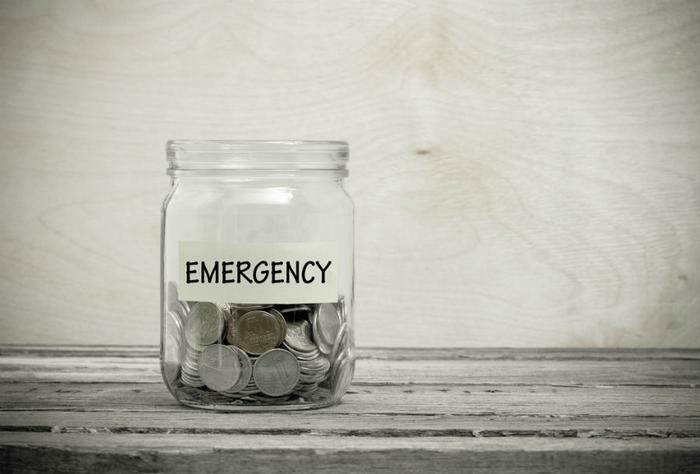 While saving up for a house or a car is certainly an important goal, consumers should also be cognizant of saving for emergencies -- as wide-ranging as they may be. Saving for a car repair, the sudden loss of a job, a medical bill, or appliance replacement should be the number one goal for any consumer interested in saving. To get into regular savings habits, the American Bankers Associations encourages consumers to pay themselves first before paying any of their bills. Making regular deposits -- no matter how small -- is crucial to starting off on the right foot. Next, consumers should separate money into two categories: wants and needs. Lastly, consumers should remember that the point of saving is to gradually build money in an account over time -- not overnight. Starting with small monthly deposits and slowly increasing those payments can be a great first step.